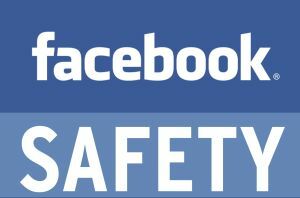 There are several things you can do to stay safe on Facebook. Learn how to use Facebook’s privacy shortcuts and settings to comfortably share and connect. But what can be done? It’s not like you can just quit Facebook, right? No – and you don’t have to either. You just need to take a few precautions. Unbeknownst to most mainstream Facebook users, the social network actually offers a slew of privacy controls and security features which can help you batten down the hatches, so to speak. If used properly, you’ll never have to worry about whether you should friend the boss and your mom. You can friend anyone you want while comfortable in the knowledge that not everyone gets to see everything you post. The problem in implementing these privacy options is that they’re just too confusing for most non-tech savvy people to handle. And often, folks don’t want to bother to take the time to learn. To simplify the process, we’re offering five easy steps you can take today to help make your Facebook experience safer, more secure, and more private. Yes, it will take some time, especially if you’re connected to a couple hundred friends already. But this step, while not the quickest, is fairly simple. And it will be one of the most useful things you can do on Facebook. Friend lists, like they sound, are lists for categorizing your friends into various groups. The nice thing about this feature is that once you set these lists up, you won’t have to do it again. We suggest that you put your work colleagues and professional acquaintances into a friend list designated “work,” personal friends you’re not very close with into a list called “Acquaintances,” and people you’re related to into a list called “Family.” Those three main categories will separate out the groups of “friends” who you may want to hide some information from. 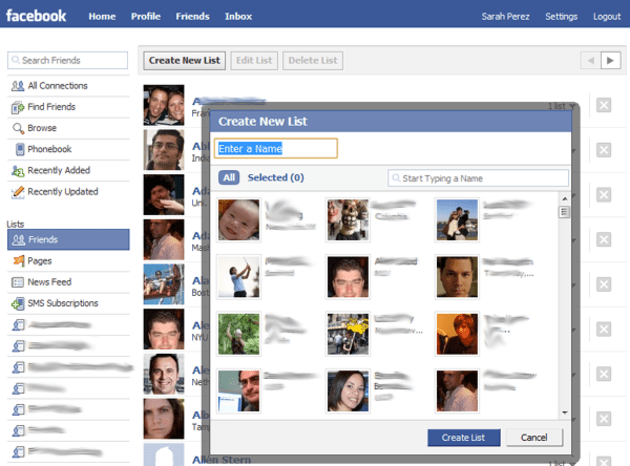 To create a friend list, click on “Friends” at the top of the Facebook homepage. In the left-hand column, click “Friends” again under the “Lists” section. Now you’ll see a button at the top that says “Create New List”. Click it. In the pop-up that appears, you can name your list and pick members. If you’ve ever shared an application with your friends, the process of doing this will be very familiar. When you’ve finished making lists, you’ll be able to use them when selecting who can see what (or who can’t!) when configuring the security settings described below. At the top right of Facebook, there’s a menu that many people probably ignore: “Settings.” But this menu is now going to become your best friend. To get started, hover your mouse over the Settings menu and click “Privacy Settings” from the list that appears. On the next page, click “Profile.” This takes you to a page where you can configure who gets to see certain information on your profile. Before making changes, think carefully about the sorts of things you want public and the things you want private. Should “everyone” get to see photos you’re tagged in? Or would you like to limit this only to those you’ve specifically chosen as Facebook friends? Underneath each section on this page (basic info, personal info, status, etc. ), you can designate who gets to see that particular bit of information. For anyone not using custom lists (see step 1), the best thing to enter here is “Only Friends.” Anything else opens up your profile information to people you may or may not know. For example, choosing “Everyone” makes that info public, “Friends of Friends” lets your friends’ friends see it, “My Networks and Friends” opens up your info to anyone in your networks – that means anyone in your city, your high school, your college, a professional organization you listed, etc. As previously described above, you can again use the drop-down lists provided to designate who gets to see what and/or block certain people or lists from viewing this information. The sections on this page include “IM Screen Name,” “Mobile Phone,” “Other Phone,” “Current Address,” “Website,” and your email. Sick of getting friend requests from old high school pals? While for some the beauty of Facebook is that it lets you reconnect with everyone you ever knew throughout your life, others find this intrusive and annoying. You’re not friends with any of these people anymore for a reason, right? As it turns out, you can still enjoy Facebook without some folks ever knowing or finding you thanks to the search privacy settings. Click on the “Settings” menu on Facebook’s homepage and then click “Search” on the following page. 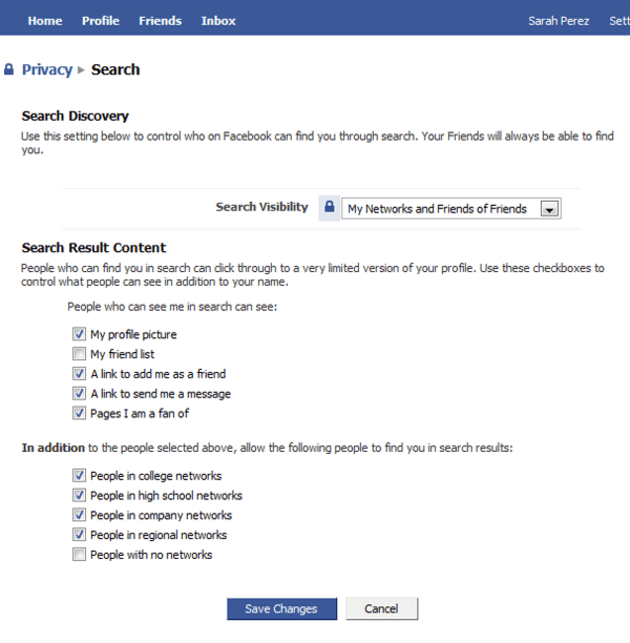 You’ll be taken to a Search Privacy page where you can specify who gets to find you on Facebook. Want to be wide open? Change the “Search Visibility” drop-down box to “Everyone.” Want to keep it a little more limited? Select “My Networks and Friends,” “Friends of Friends,” or “My Networks and Friends of Friends” instead. Don’t want anyone finding you on Facebook? 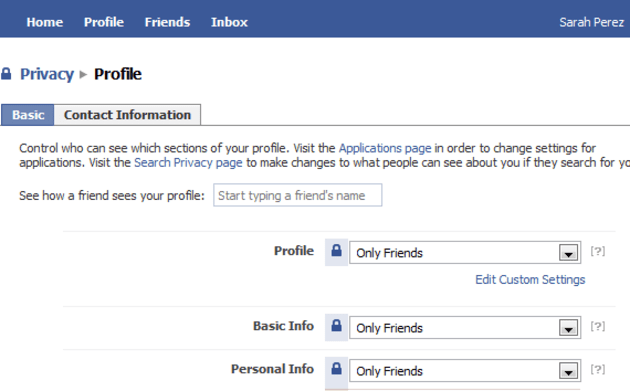 Change it to “Only Friends.” That means only the people who you’ve already friended can find you in a Facebook search. Remember when we told you about what Facebook quizzes know about you? Using Facebook’s default settings, you’re unknowingly sharing a plethora of personal information (and your friends’ info too!) with various Facebook applications and the developers who created them. The problem is so bad that the ACLU recently created their own Facebook Quiz to demonstrate how much information an app has access to. On this page, you can check and uncheck boxes next to your personal information (picture, education history, wall, religious views, etc.). This controls what the applications your friends are using can see about you. 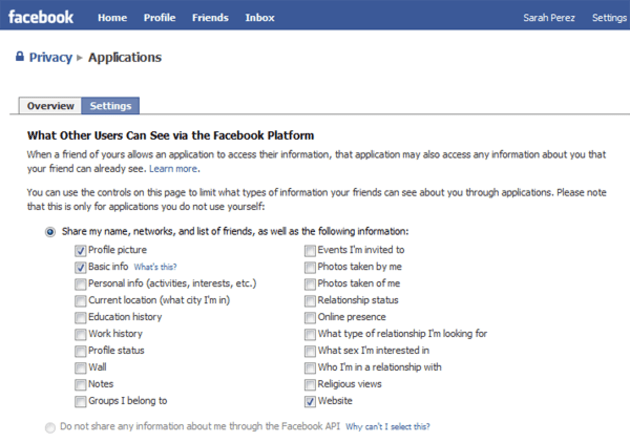 Yes, your friends’ apps can see your personal info if you don’t make this change! Believe it or not, you don’t have the same control over your own apps. The best you can do is head over to the Applications page and delete the apps you’re not using anymore. (Use the “X” to remove them.) You see, once you authorize an application, you’re telling it that it’s OK to access any information associated with your account that it requires to work. While some developers may only pull what’s actually required, many others just pull in everything they can. Scary, isn’t it? While this is by no means a comprehensive guide to Facebook security and privacy, these five steps can help you get started in creating a safer, more secure, and more private environment on the social network. However, if you choose not to take any precautions, then you’ll only have yourself to blame when an errant wall post or naughty photo makes its way online and straight into Grandma’s News Feed, or worse, your boss’s. These days, it’s better to be safe than sorry, so go ahead and delve into those settings!